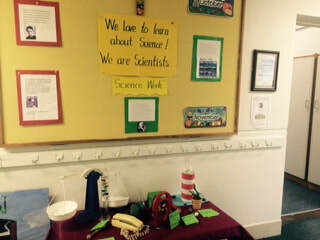 We celebrated Science week during November. 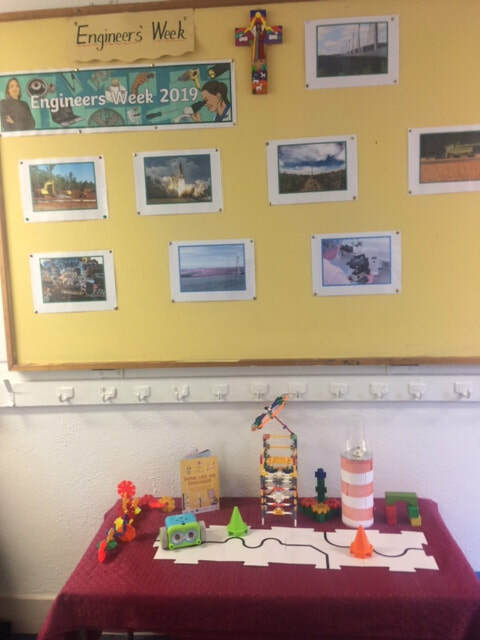 It was great fun with rockets blasting off in classrooms, slime making competitions and great magnetic explorations. 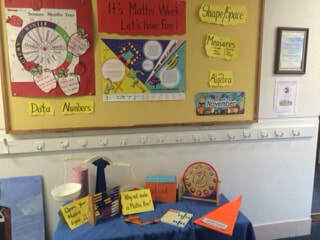 Our Science Fair on Friday 23rd November was a great success. 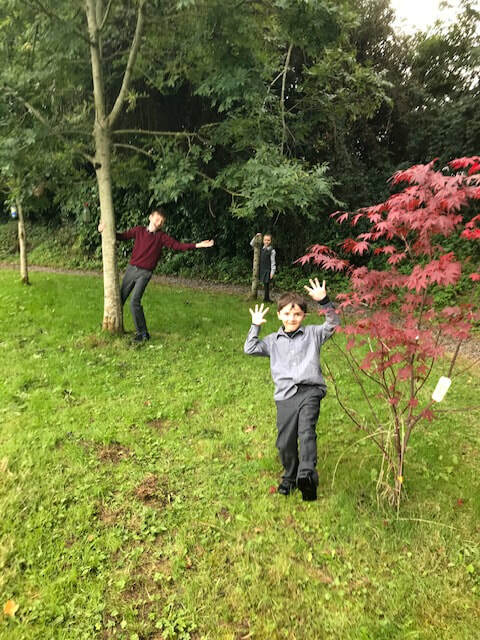 The children really enjoyed going from class to class. Check out more photos here. 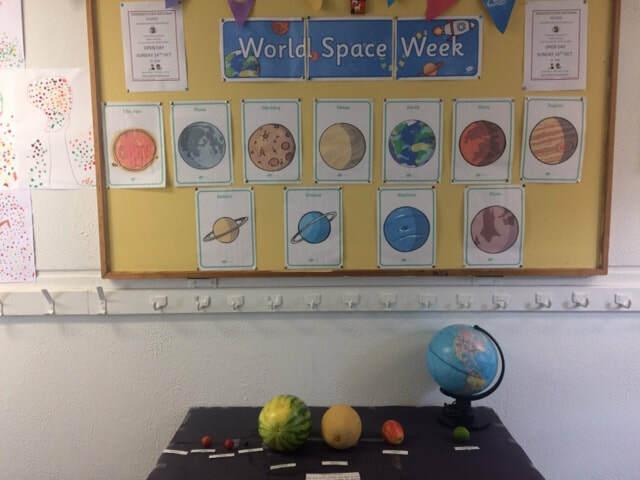 The children from 5th and 6th class did a great job creating a 3D model of our Solar System for our Conversation Coaxer. 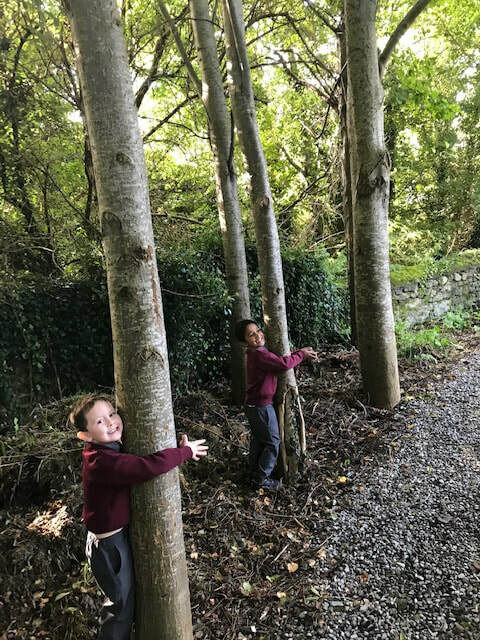 Our new Junior Infants have settled in really well, as have Glebe, Bogdan and Ruby. We are delighted to welcome back Lucie. 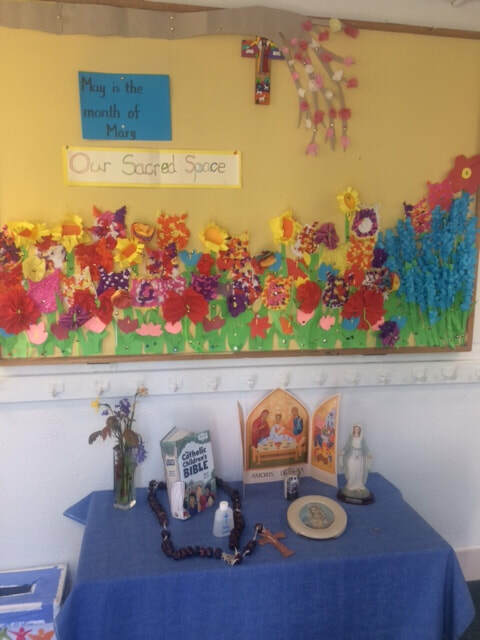 Thanks to Sally, Brannagh and Alexandra for bringing in lovely flowers for our May Altar. 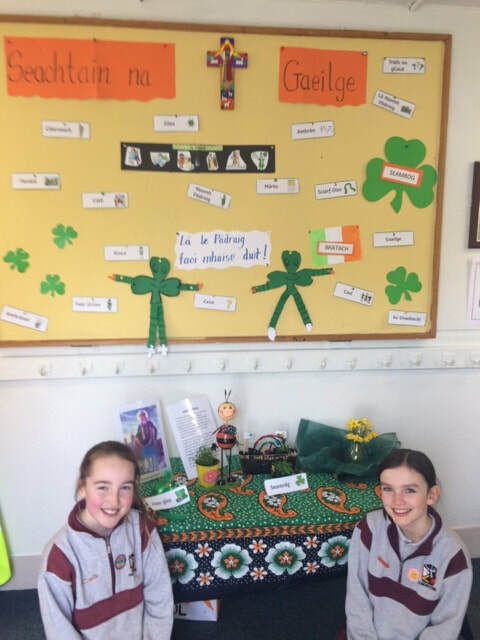 Two members of our Student Council did a great job setting up our Conversation Coaxer this week for Seachtain na Gaeilge. Doesn't it look super? The girls from 6th class have taken over responsibility of setting up the Conversation Coaxer. Didn't they do a great job setting up the Spring table? Fantastic teamwork! Well done girls! Mrs Cleary enjoys setting up her "Conversation Coaxer". 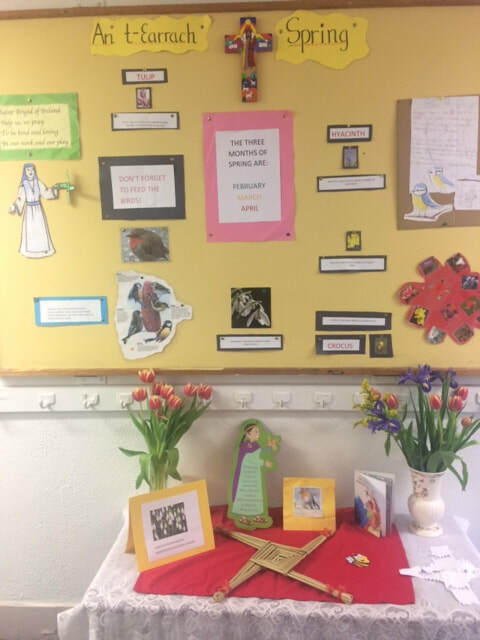 This involves preparing an interest table which reflects different themes and liturgical events (see our Sacred Space page) throughout the year. 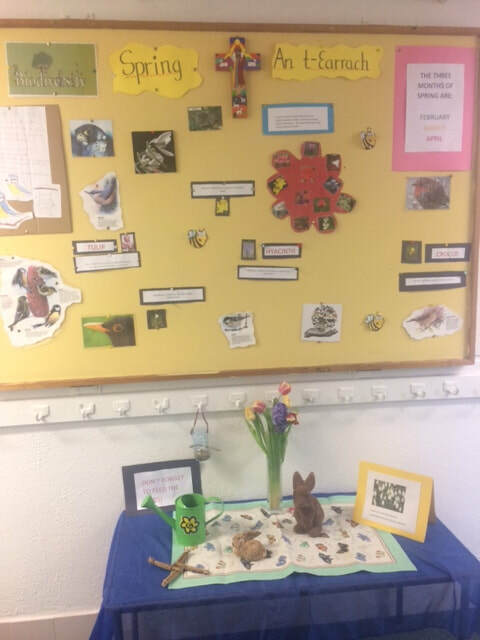 The idea is that children will be encouraged to pick up the objects and chat about them. 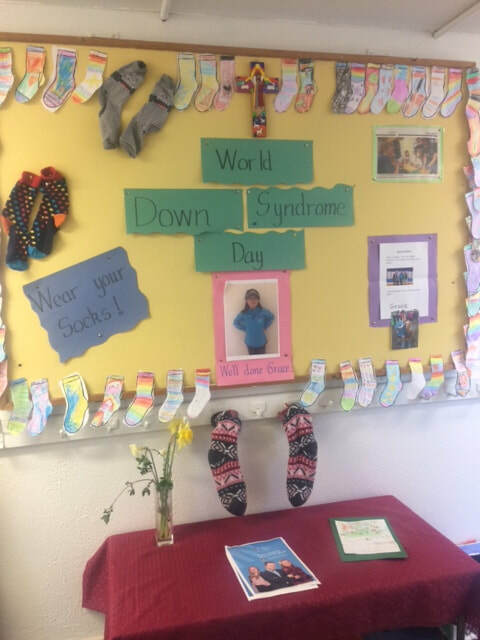 It is also a link with home so that parents know what's happening in school and can show interest and enthusiasm. 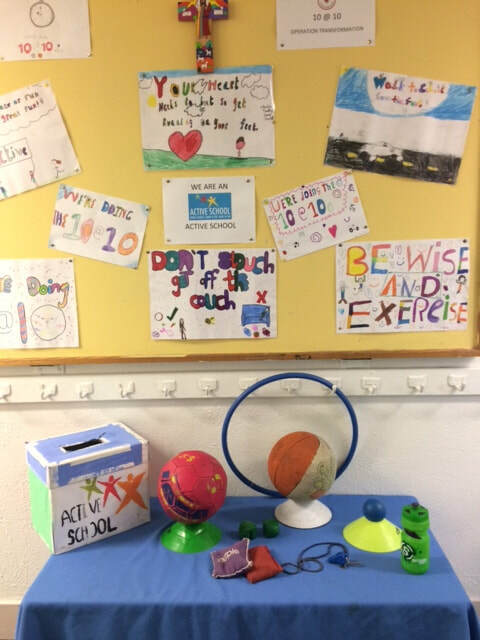 This week the Conversation Coaxer is reminding us to be Active. Operation Transformation will visit us in school and film us for RTE. Click here to see our video. 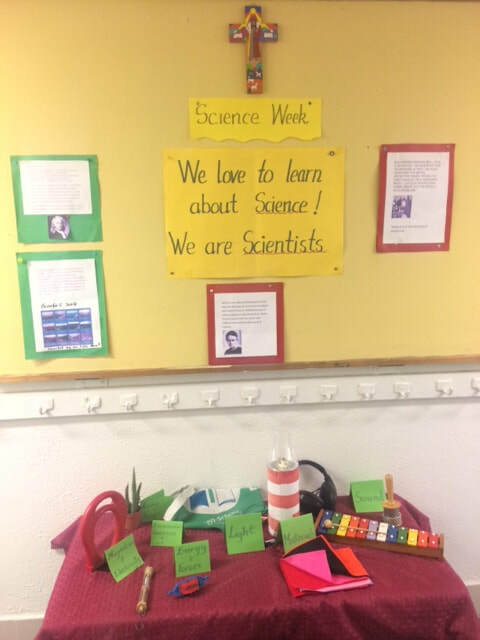 This week is Science Week - 13th November 2017 - 19th November 2017. The children will be having lots of fun experimenting. 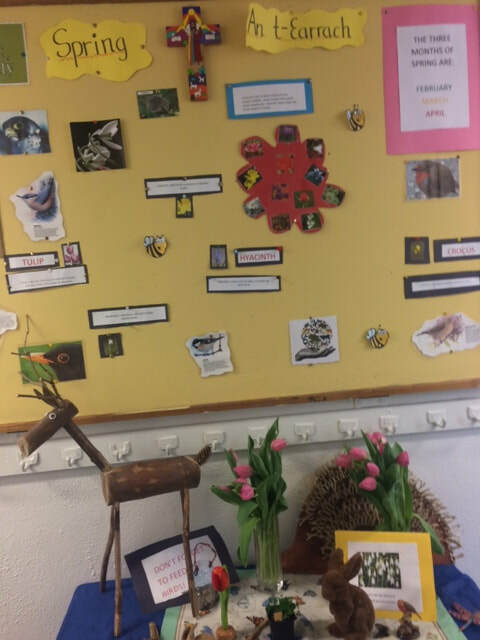 The Conversation Table reflects the various elements of the primary school science curriculum such as energy & forces, magnetism, light, electricity, sound, environmental awareness & care and living things. 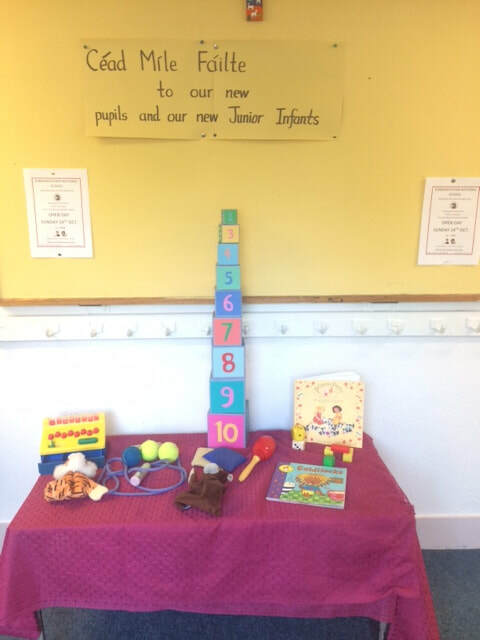 It is such a delight when our new Junior Infants begin school. 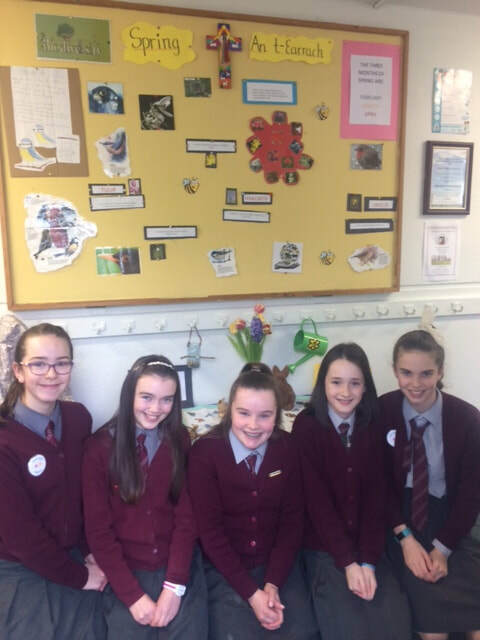 We are thrilled to welcome them all and our "Conversation Coaxer" this week is a welcome table for our new pupils.